It is vital to your health to control the thoughts that come in and out of your mind. This is so subtle. If you were to trace back all of your thoughts for just one day, you would know how many of those 30,000 thoughts were emotionally draining, negative or downright depressing? How many regrets pass through my mind in a 24 hour period? When the evening news mentions how bad the economy is, where does my mind go? How much day dreaming do I do throughout the day? How many times a day do I visit the past and remain there for quite some time rehearsing all that I said or did and all that I could have said or done? How much sleep do I lose because of all the thoughts I had before bed? How many symptoms do I have in my body? Did you know that just thinking about the possibility of getting Alzheimer’s actually increases your probability of getting the dreaded disease by 43%? 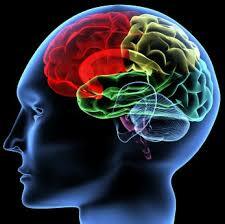 The science of thought is called neuroplasticity. While we only understand about 8% of how the brain functions, we know that the brain has the ability to change and alter itself through the thoughts we think. Literally, what you choose to think about can switch your genes on or off. The term Neuroplasticity is derived from the root words Neuron and Plastic. A neuron refers to the nerve cells in our brain. Each individual neural cell is made up of an axon, dendrites, and is linked to one another by a small space called the synapses. The word plastic means to mold, sculpt, or modify. The following is an excerpt from Dr. Caroline Leaf’s* book, Who Switched Off My Brain. Neuroplasticity refers to the potential that the brain has to reorganize by creating new neural pathways to adapt. Think of the neurological changes being made in the brain as the brain’s way of tuning itself to meet your needs. It was believed until recently that the human brain, which consists of around 100 billion neural cells, could not generate new ones (the generation of new neurons is known as neurogenesis). So in the words of Dr. Leaf, if your thoughts are toxic you produce toxic emotions which ultimately produce toxic behavior and physical disease. But these negative thoughts can be controlled. Every moment of your life your brain creates 400 billion actions from digesting to thinking to movement to perception. We are only conscious of about 2,000 of those actions. Every thought produces chemicals in the human body. When we feel happy, specific chemicals are released. And when we are sad or depressed a host of other hormones and chemicals are released and in most cases they are detrimental to your body. Your mind changes your brain! How? You have to spend some time in the day and purposely choose good thoughts. According to Dr. Leaf, all you need is a minimum of 7 minutes per day choosing loving thoughts, healthy thoughts, and thoughts free of anxiety. She says that this is not positive thinking. It goes way deeper than that. So the next time that you want to think of a distressing event, a regret or an unforgiving emotion, and you repeat this cycle over and over again, just remember that your brain will react to it negatively and eventually it will show up in your emotions and/or your body.